Ah, Valentine’s Day. We meet again. After being married to the same man for almost 10 years, you start to run out of ways to say I love you besides writing it in a card or telling it to his face. So when birthdays, Father’s Days, Valentine’s Days and any other lovely holiday rolls around, I’m always looking for something new to show my appreciation and love. You know those love language tests you can take? Yeah, my love language is food. And so is my husband’s. We both married well. Lucky for Gord, I’m always making new and wonderful things in the kitchen. So he basically feels smothered 24/7. This year for the holiday of love, I decided to forgo the crazy decadent dessert and make something a little unexpected…for breakfast. 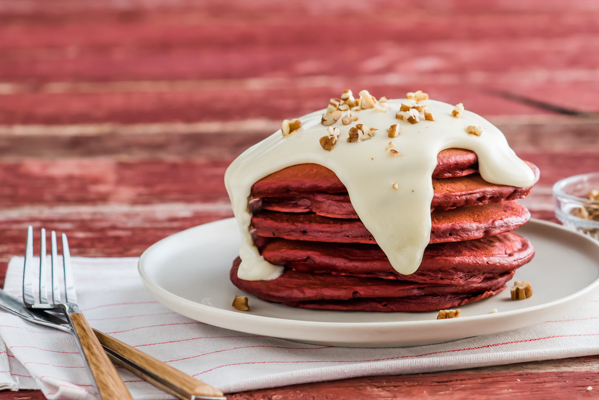 Today I’m sharing my recipe for Red Velvet Pancakes with Warm Cream Cheese Glaze. 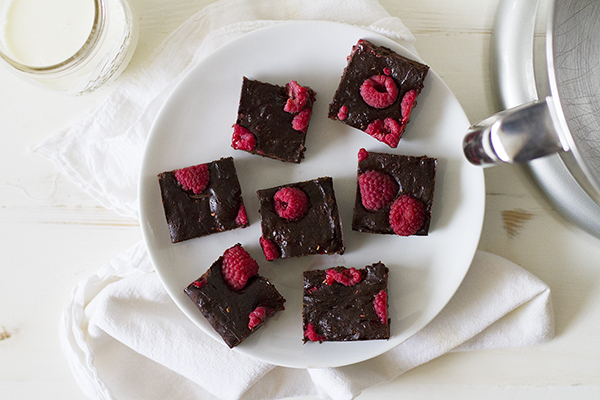 The perfect, most festive breakfast that will make you think you’re eating dessert at 7 am. 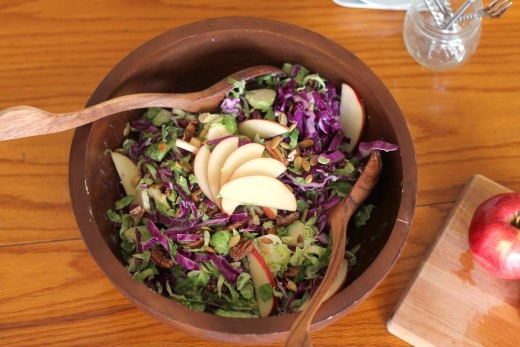 Start by measuring all the dry ingredients into a large bowl. Using a KitchenAid® 9-Speed Hand Mixer, stir those ingredients to incorporate. Set aside. Whisk the wet ingredients well to incorporate and pour over the wet. With the Hand Mixer on low, slowly pour the wet ingredients into the dry. After about 30 seconds, your batter should form and you should be ready to go! Start preheating a non-stick skillet over medium low heat. I used a KitchenAid® Sculptured Stainless Steel 12″ Skillet. 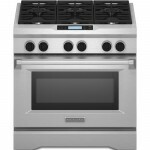 When I renovated my kitchen nearly two years ago, I had the KitchenAid® Commercial-Style Dual Fuel Range installed and boy is this the perfect appliance for pancake making! The thing I love most is the temperature consistency; with the range or the stove, it’s always the same. Medium low on one of the front burners is medium low on the back burners. With pancakes specifically, you don’t end up with lightly golden, golden and very dark pancakes because the pan continues to get hotter as you fry the third and fourth batches. The first one you fry is just as perfect as the last. Once your pan is nice and warm, lightly butter it up or spray with nonstick cooking spray and pour in your batter to form your pancakes. Once bubbles start to form on the top, flip and cook the other side until lightly golden. Just like this. You can see they’re mostly red with a light golden tone. At this point, you can serve as is or make a warm cream cheese glaze. Doesn’t that look so much more appealing? I think yes! The glaze is just simply warmed cream cheese, powdered sugar, vanilla and heavy cream. Stir it together until a glaze forms, then drizzle away. Top your pancake stack with sprinkles or pecans and enjoy! 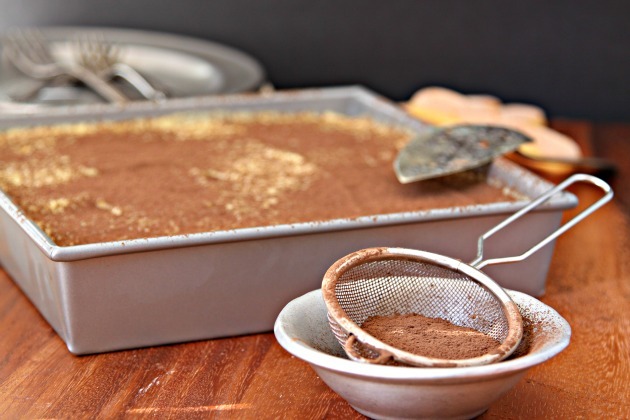 In a large bowl, measure out flour, instant dry milk, baking powder, baking soda, salt, sugar and cocoa powder. Stir together gently using KitchenAid® 9-Speed Hand Mixer. Set aside. 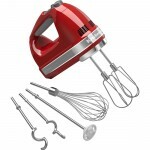 In a large liquid measuring cup, whisk water, egg, vanilla, oil and red food coloring together to combine. Slowly pour wet ingredients into the dry while stirring using Hand Mixer. Once combined, scrape the sides of the bowl with a rubber spatula and mix again briefly. 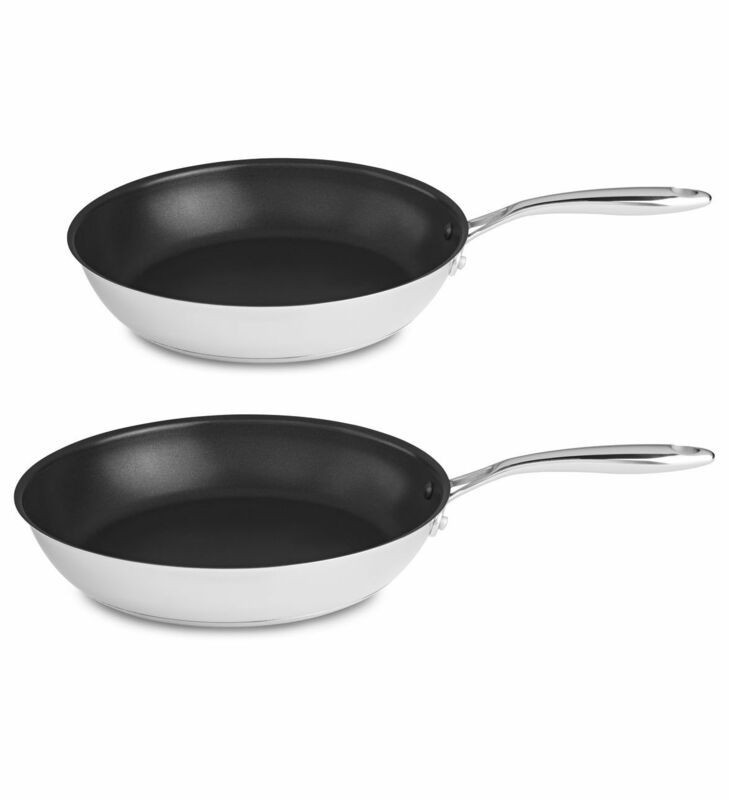 Fry pancakes in nonstick, lightly buttered KitchenAid® Sculptured Stainless Steel 12″ Skillet. For the glaze, microwave cream cheese in small bowl until very soft, 30 seconds to 1 minute. Stir in powdered sugar, vanilla and cream to create glaze. Microwave again 30 seconds to 1 minute to warm, stirring frequently. Serve hot pancakes with warm glaze. Top with chopped nuts as desired. Wow, these are seriously gorgeous! What a great way to treat the family on Valentine’s morning. That cream cheese glaze is totally calling my name!